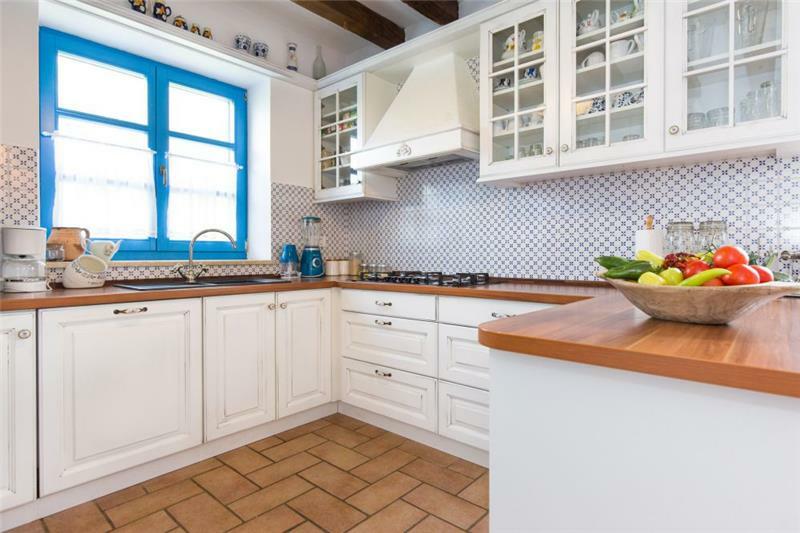 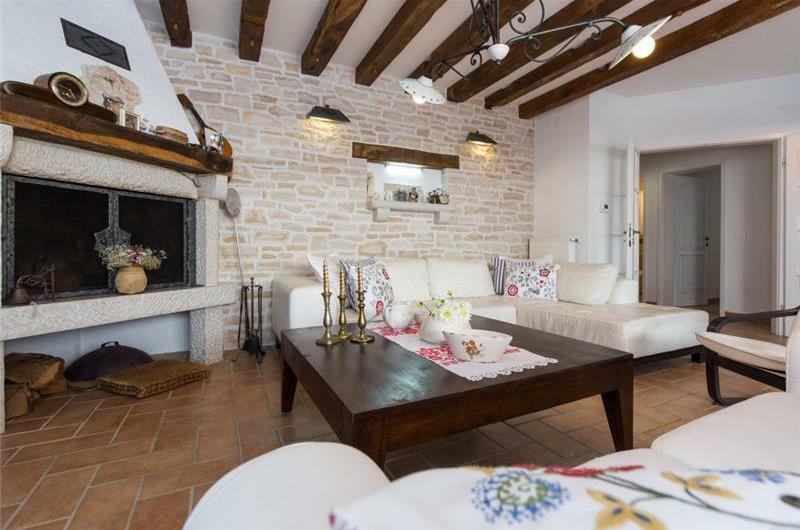 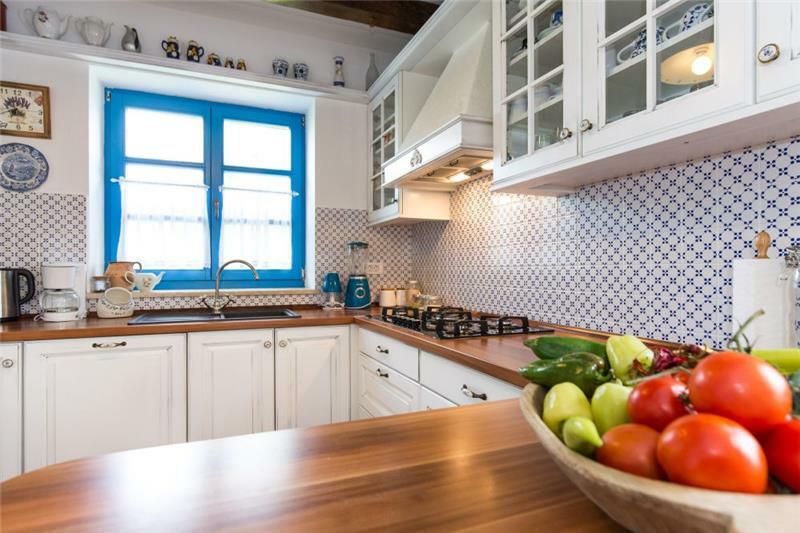 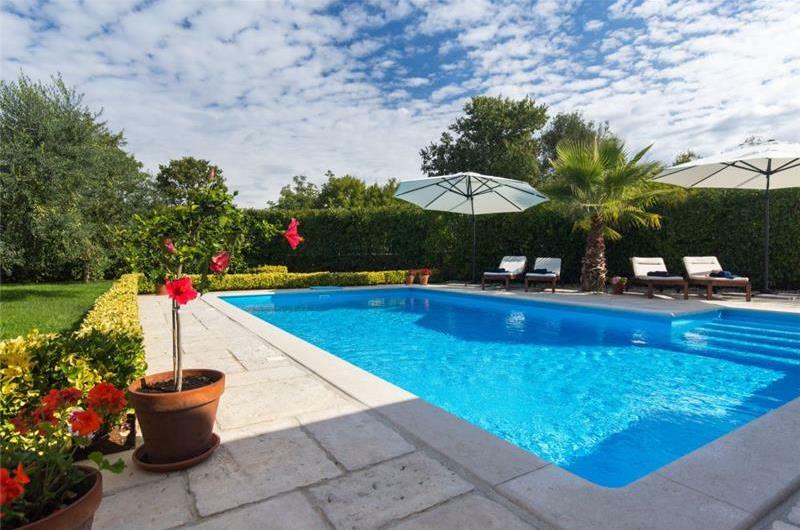 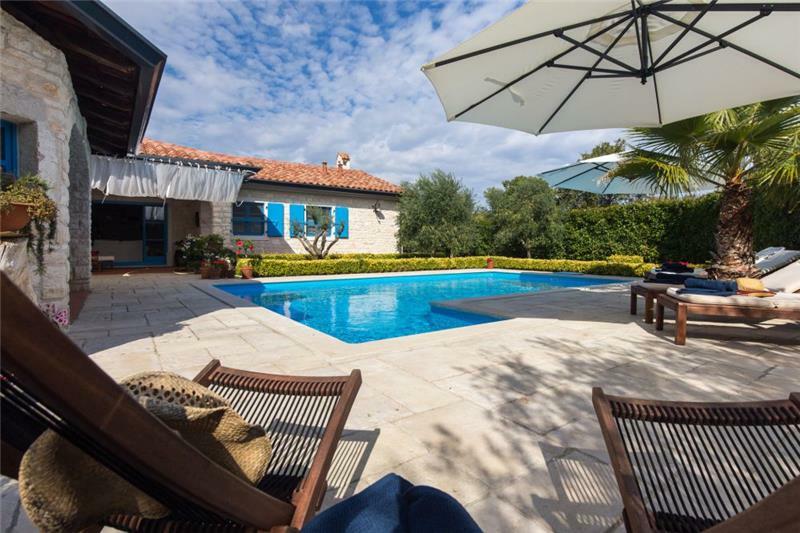 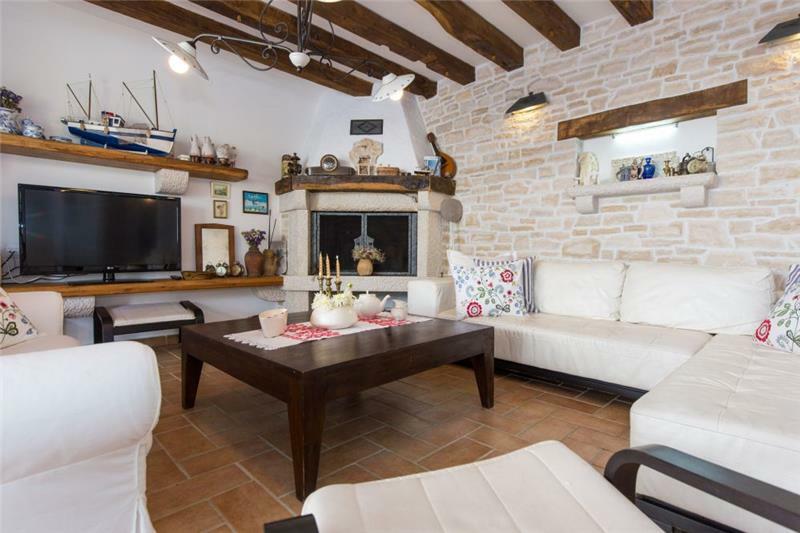 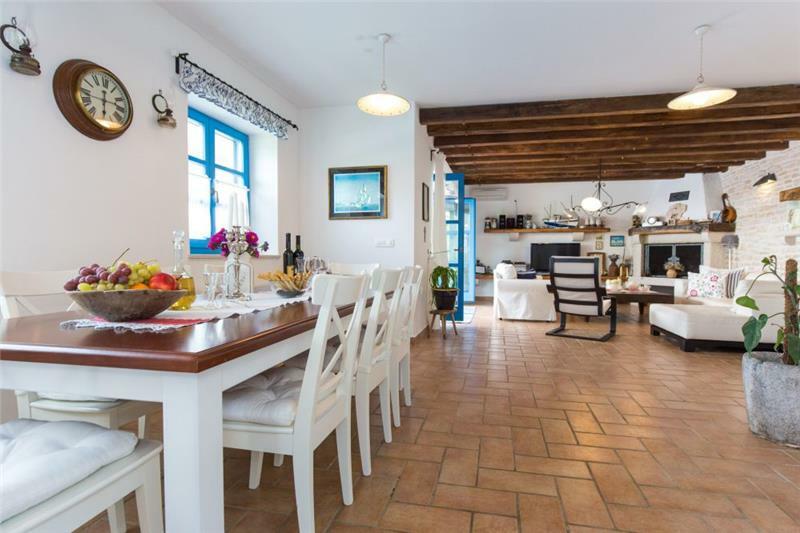 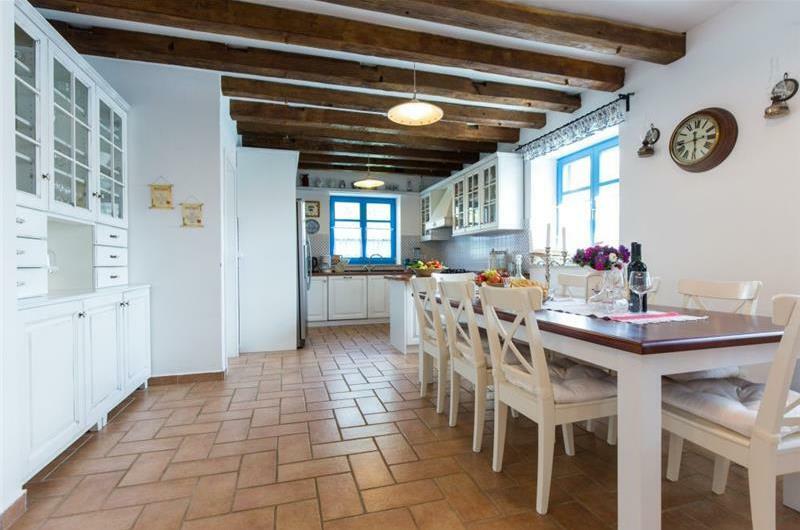 This 3 bedroom stone villa has a pool and a lovely summer kitchen in Sabljici, near Malinska. 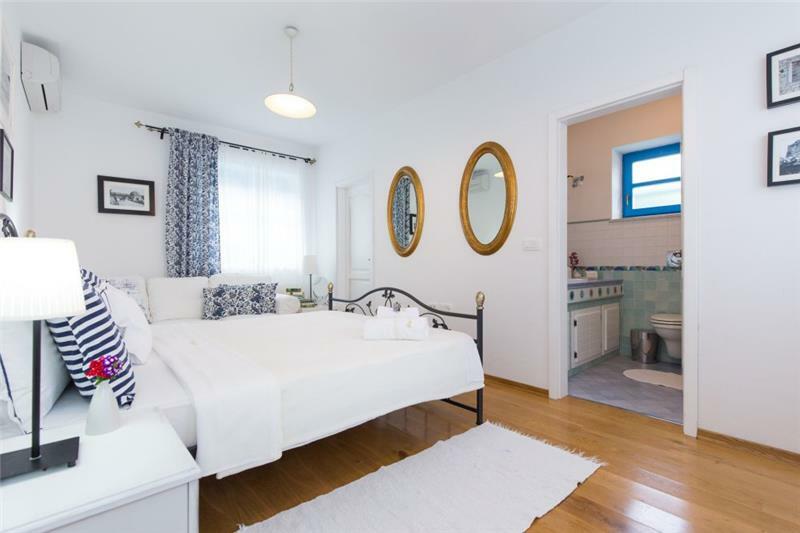 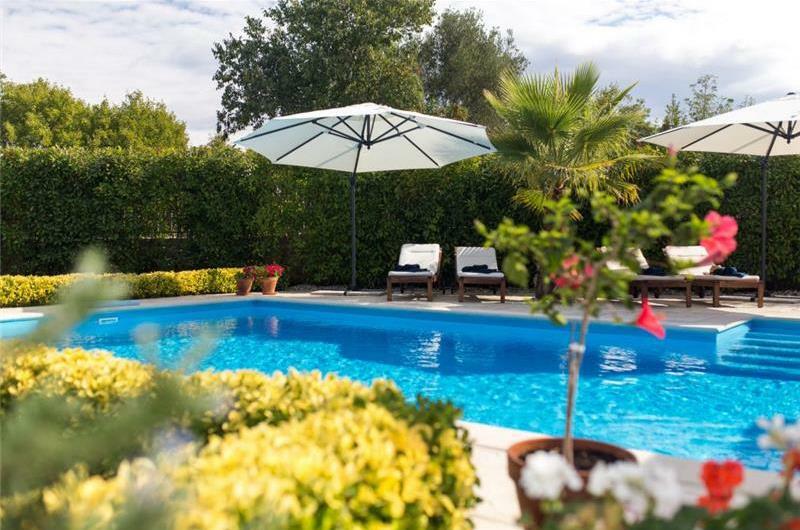 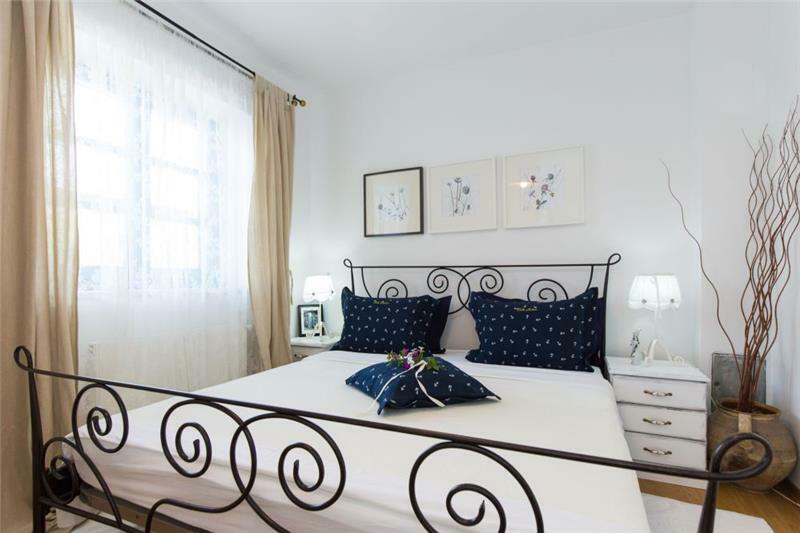 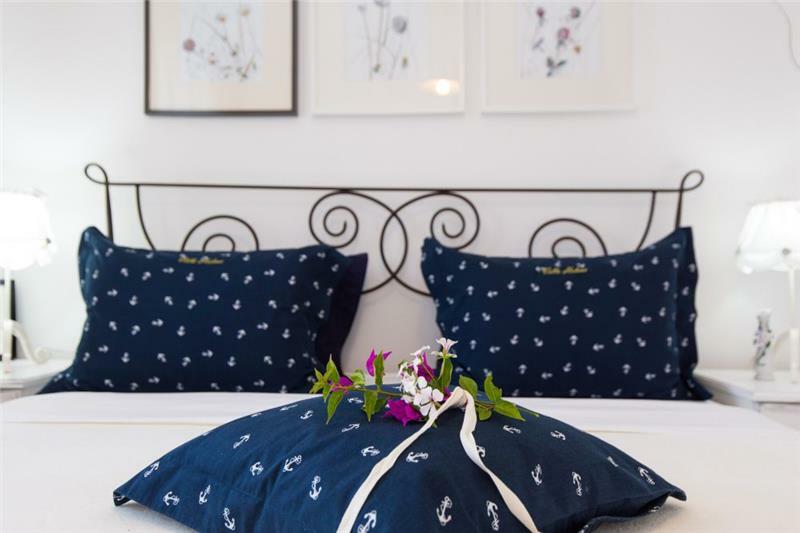 It sleeps 6-8 and is situated in an idyllic countryside village on Krk Island, perfect for families and friends looking to relax. 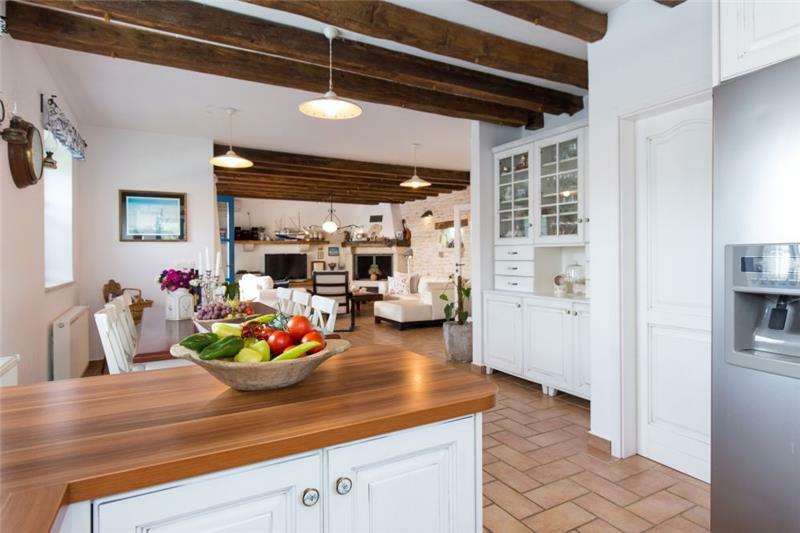 This gated one-storey villa has a an open-plan kitchen / lounge and dining area. 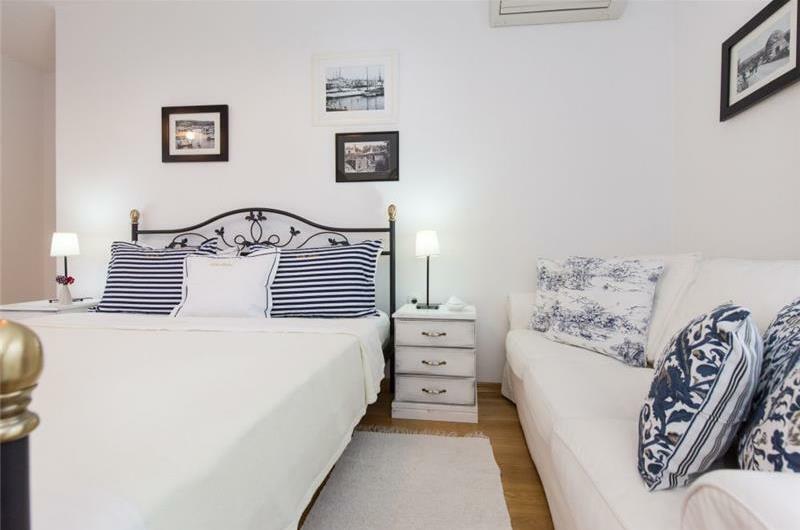 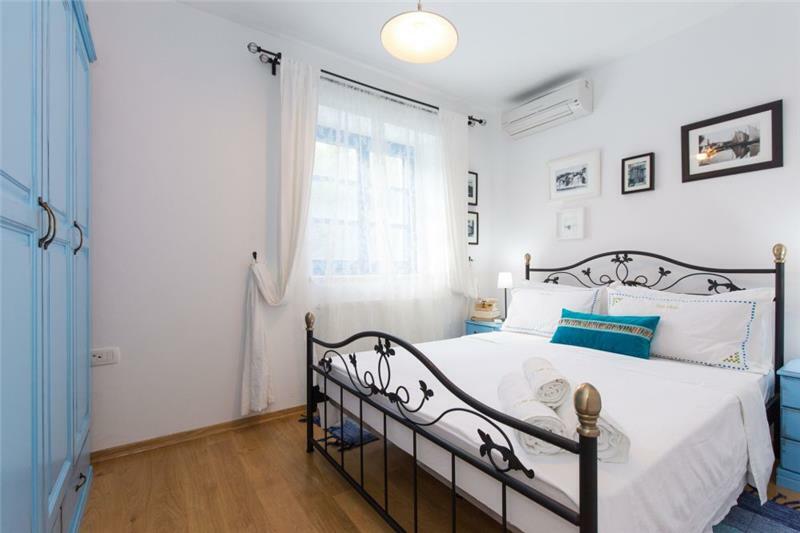 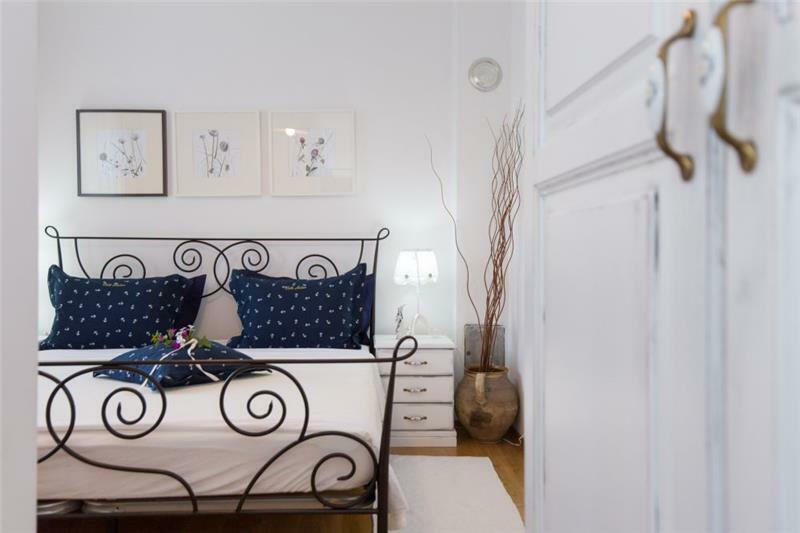 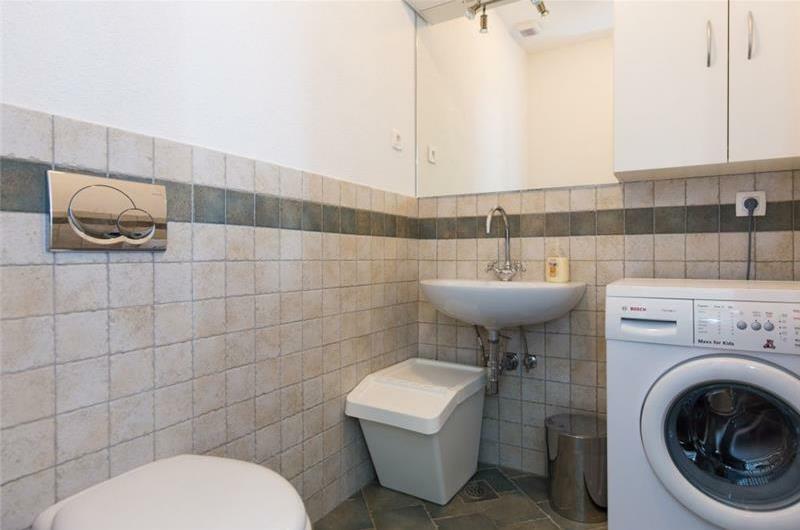 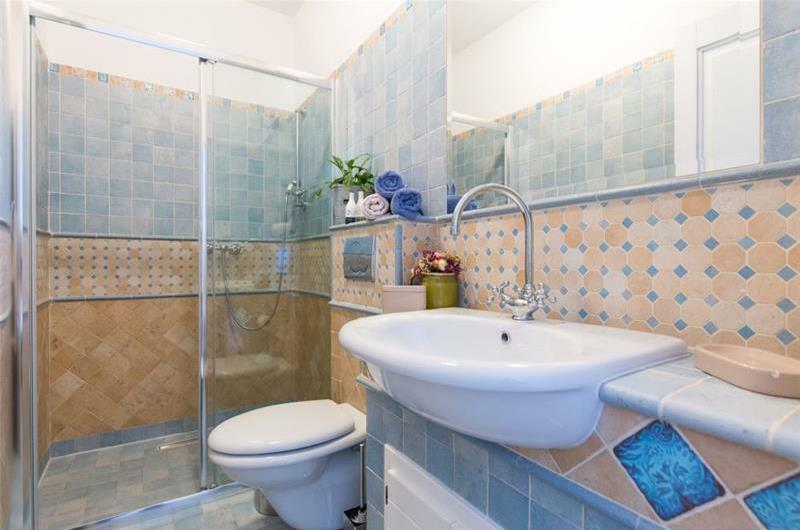 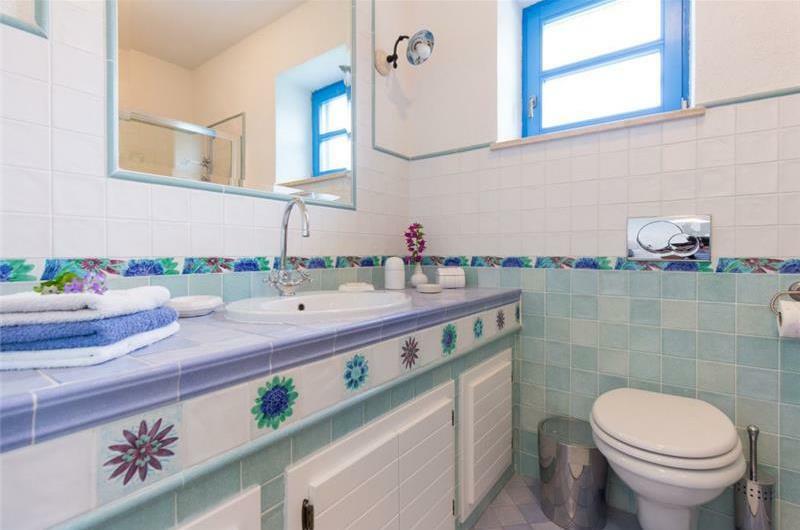 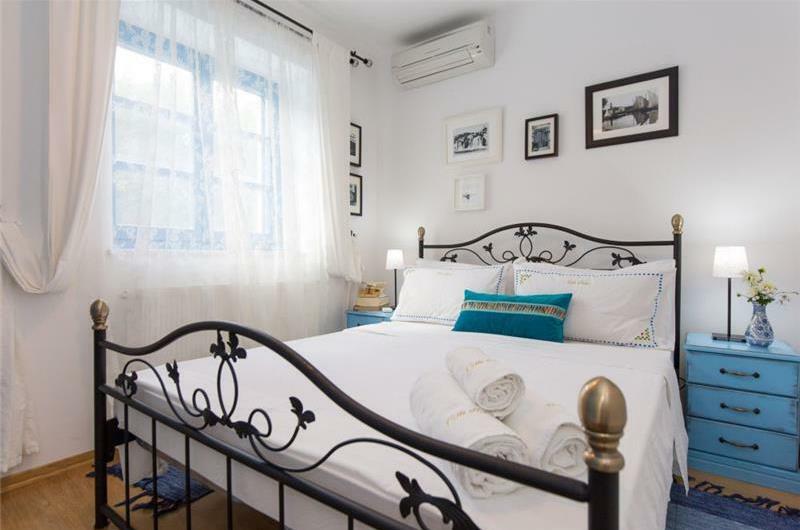 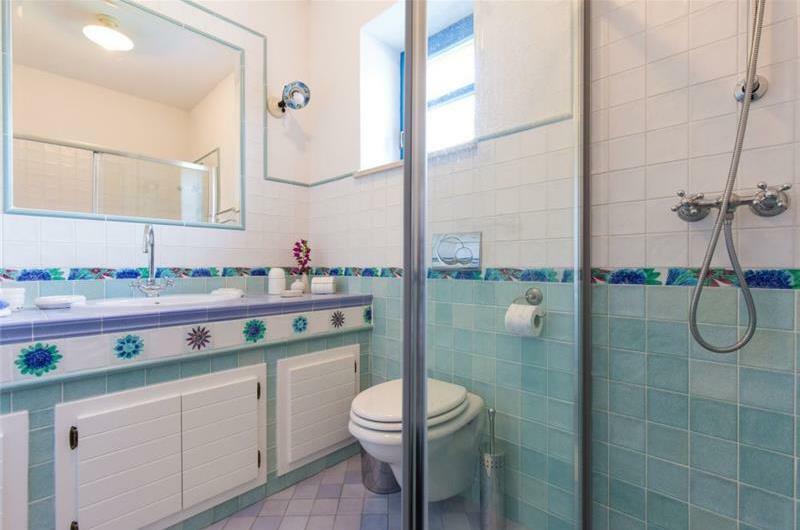 There are three double bedrooms, two of which have en-suite shower rooms, plus a separate WC. 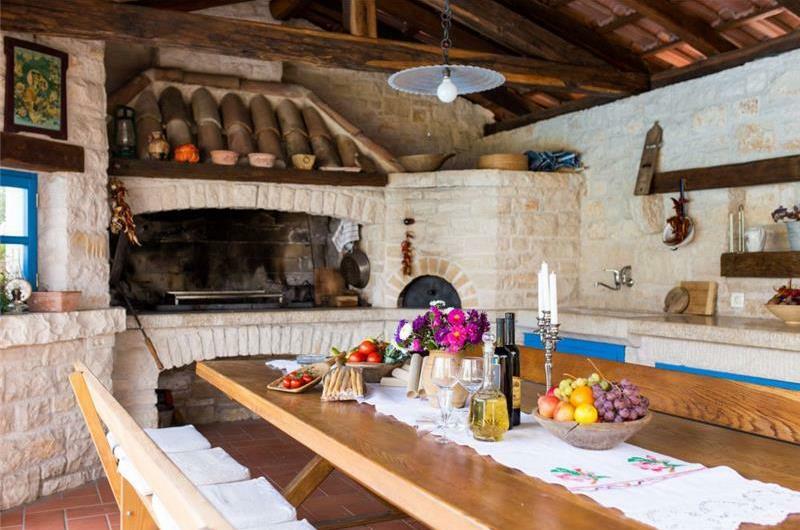 Outside there s a covered terrace, a saltwater pool, garden and a summer kitchen with a pizza oven and space for alfresco dining. 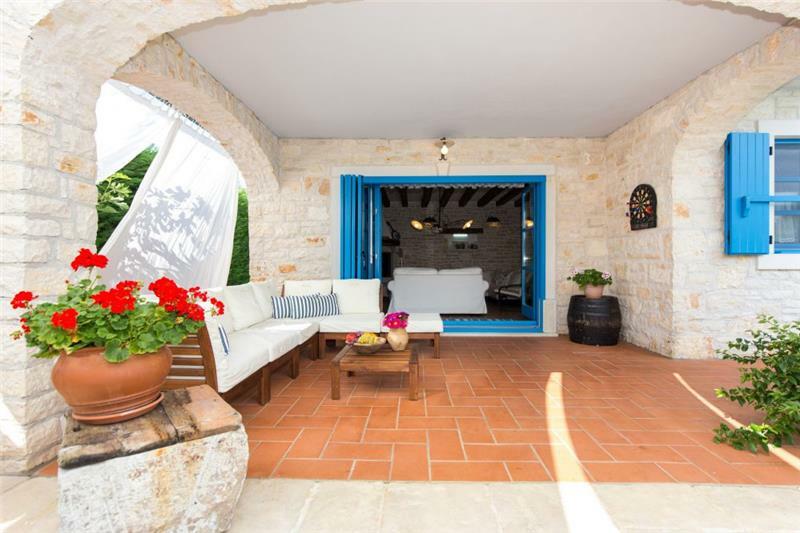 Car hire is recommended while staying at the property. 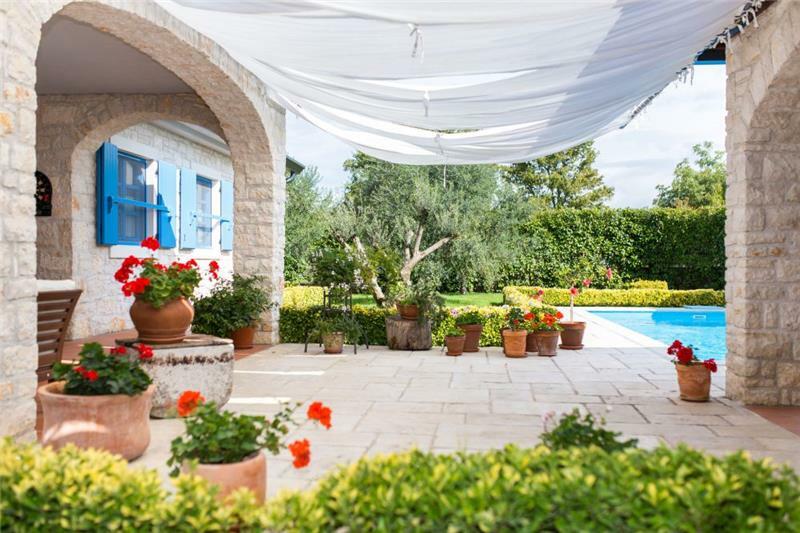 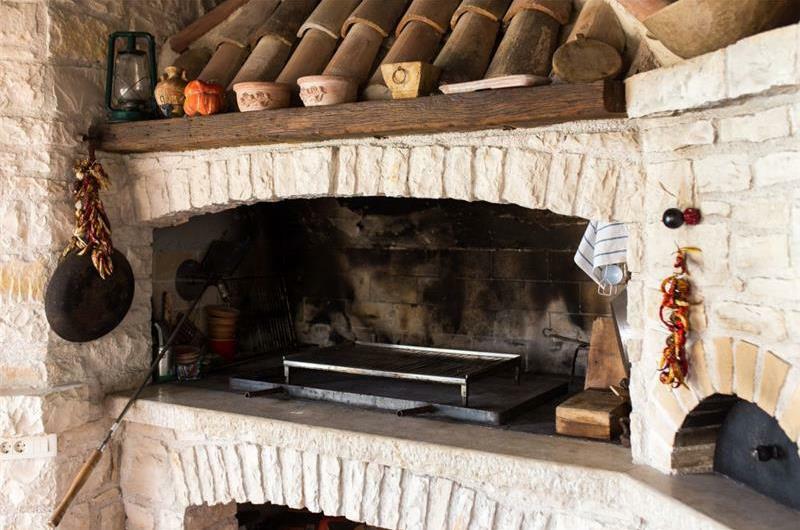 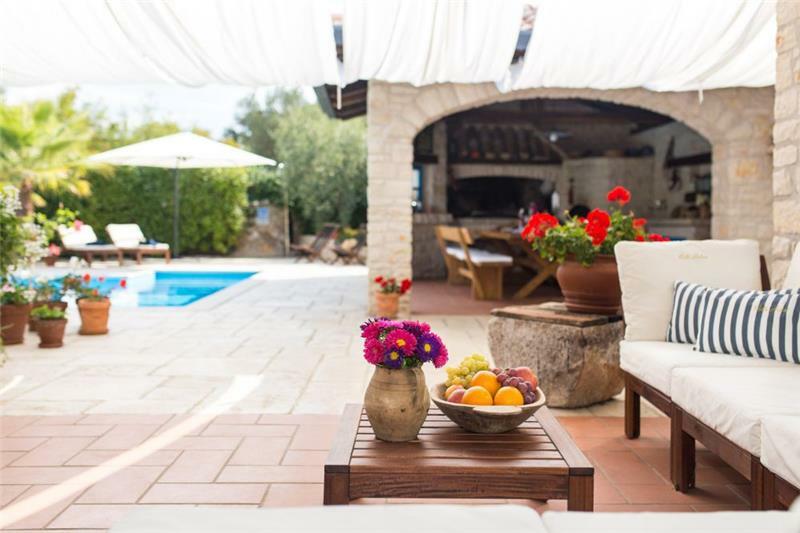 The villa is situated in the peaceful village of Sabljici and is surrounded by meadows and olive groves. 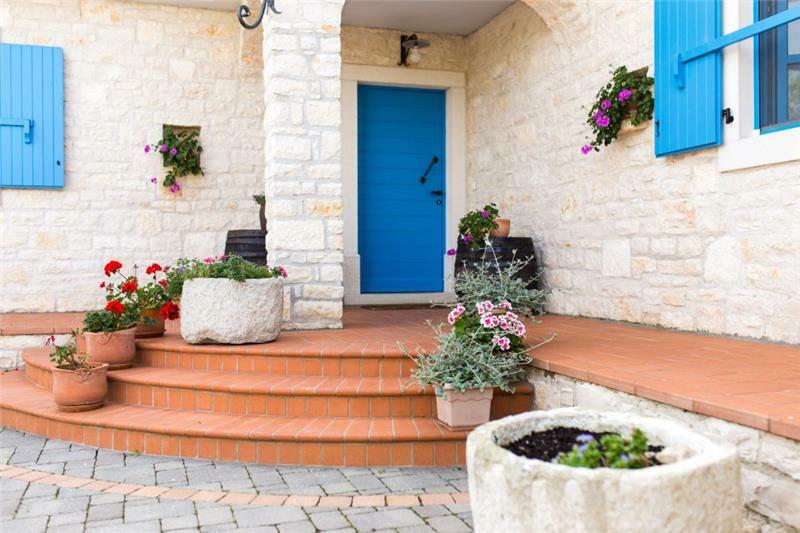 Malinska is a short drive away where there are many lovely shops, cafes and restaurants to explore, as well as a white pebble beach. 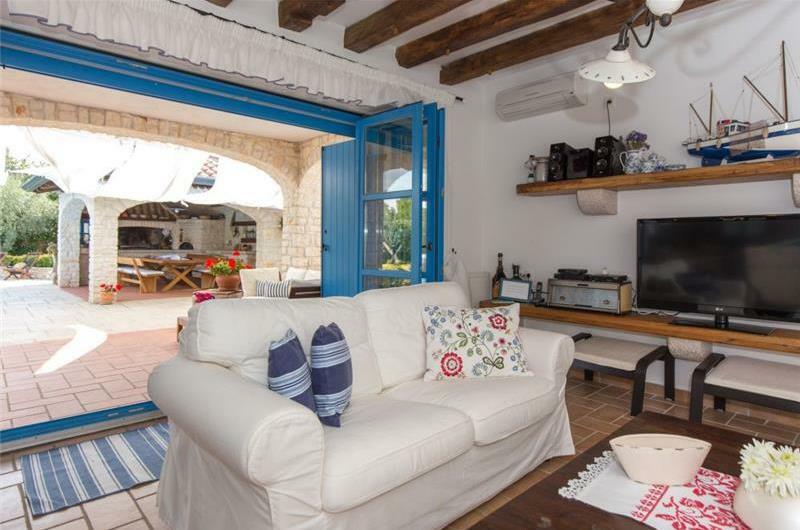 Furniture in terrace/balcony/garden: A summer kitchen, table and benches, sun loungers.